My husband is a chef by trade and genuinely loves to feed people. So naturally our house is, more often than not, the host venue for holiday gatherings with family and friends. We love this role, but it sure can be a lot of work! Fortunately we have figured out some holiday entertaining hacks which make things a little easier for the two of us. Many times, our guests will arrive early in the afternoon, so trying to do ALL the prepping and cooking in the morning is usually a recipe for running behind schedule. There are a lot of things that can be done a day or two before: washing and cutting veggies, putting casseroles in their dish (you could even go ahead and bake these since flavors get better with time). The day of your party, all that’s left to do is heat everything up and set the table! Since I’m not much of a cook, my contribution is to clean and get the house company-ready. I’ve started doing my chores the day before too, so I can take my time and not be scrambling as guests are arriving. One thing I don’t do beforehand is mop — my husband is an amazing cook, but a messy one, so I wait on the mopping instead of doing it twice. Saves you time by incorporating pre-made desserts. 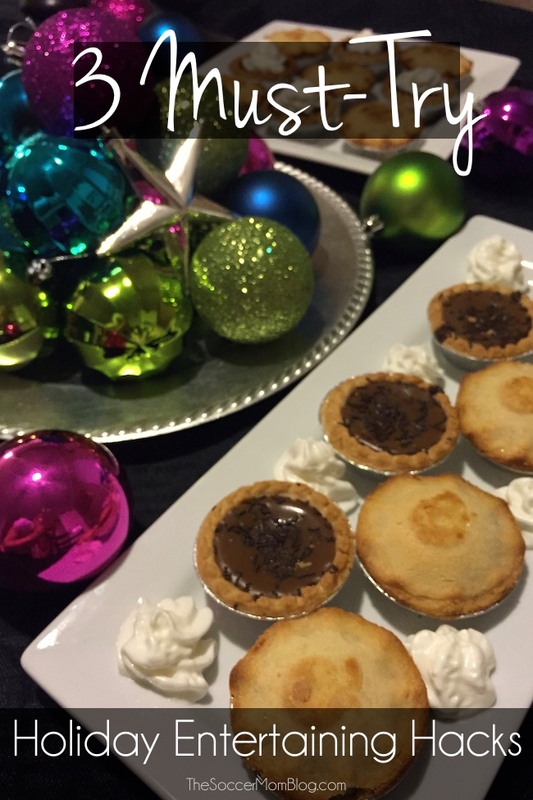 Instead of personally serving the dessert course, you can relax and enjoy your company AND a treat for yourself! 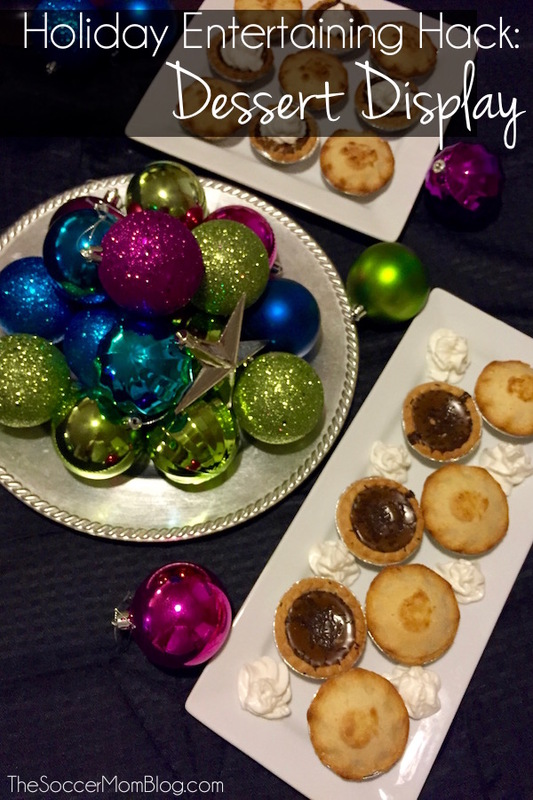 Mr Kipling pies are absolutely perfect for creating an inviting tablescape of sweets! Not only are they beautiful, but Mr Kipling pies are made with real fruit pieces, so all you taste is deliciousness! Plus, each pie is just the right size for sampling and no cutting is needed. 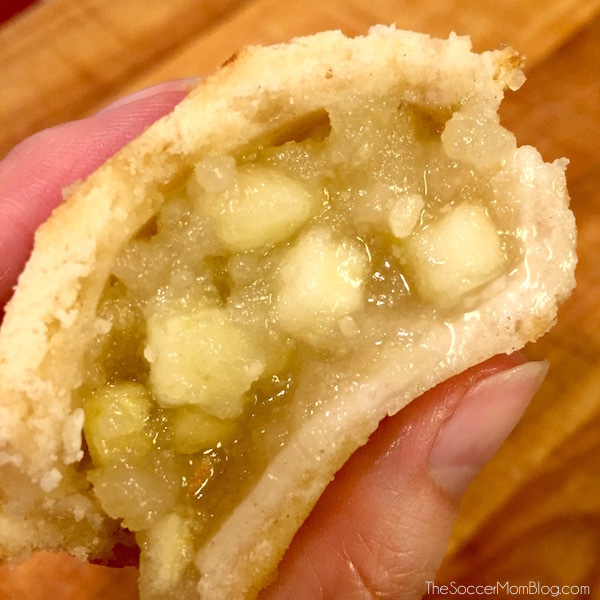 I’m not usually a fan of apple pies, but I think that must be because they are usually full of artificial-tasting syrups. Mr Kipling apple pies tasted like fresh, tart apples — you can really tell the care taken in making them. 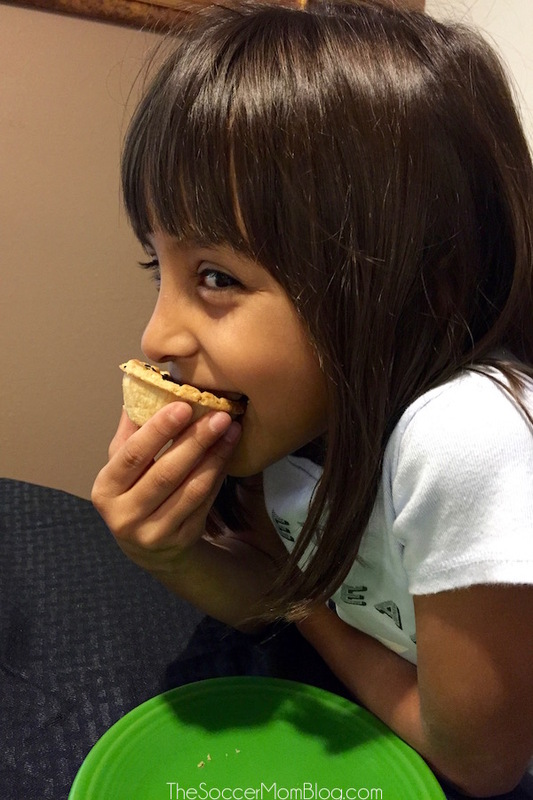 Lilu was partial to the Mississippi Mud pies, which are so pretty to look at, but even better to enjoy all of their chocolatey goodness! 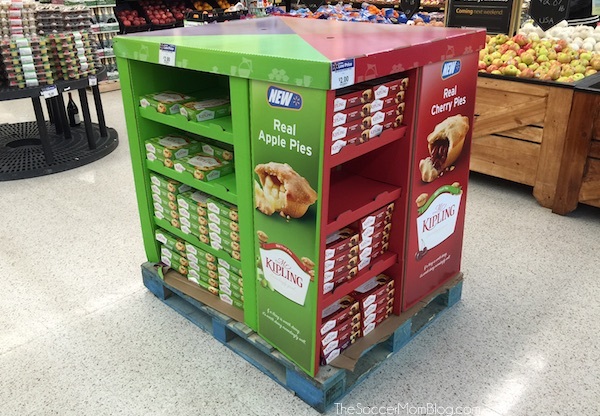 Mr Kipling pies will be available at Walmart in Texas for a limited time — once they’re gone, they’re gone! You definitely don’t want to miss out because these are really something special. Is your house the go-to location for holiday gatherings? You’ll definitely want to share these Mr Kipling pies with your guests and save yourself a little extra cooking time as a bonus! Which flavors are you excited to try? Or would you try them all like we did?